Lose yourself for a moment in this beautiful abstract pattern of growing lines. This abstract VJ loop will work well in your shows. A neat motion design to have in your video toolkit. 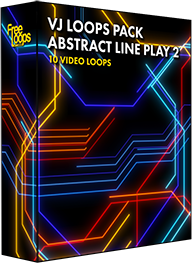 This video loop is part of VJ Loops Pack Abstract Line Play 2.